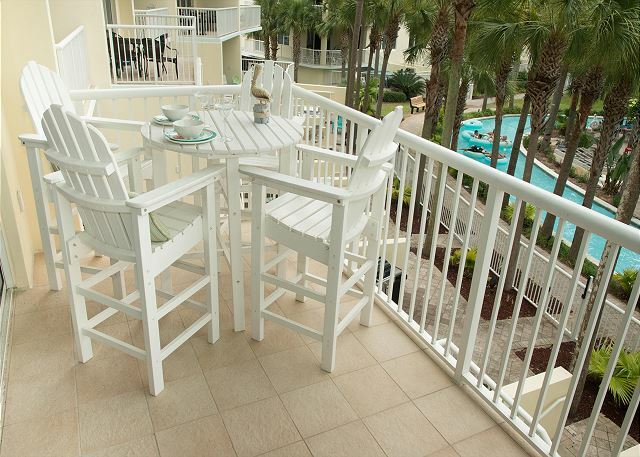 This beautiful condo is located in the Pelican building at Destin West Beach and Bay Resort on the bayside. 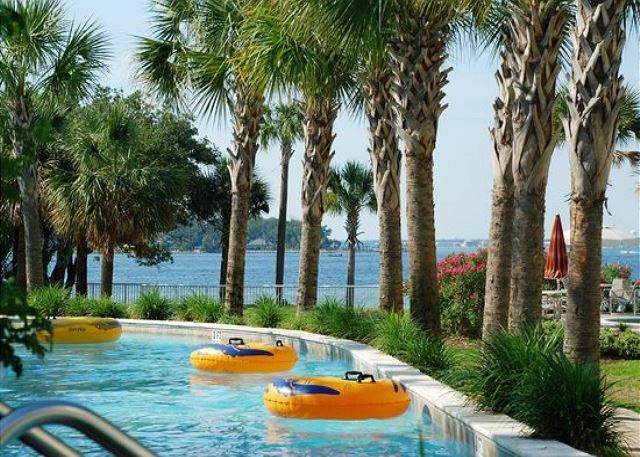 Come and enjoy the leisure lifestyle with a view of the Choctawhatchee Bay and inviting view overlooking the lazy river right from your balcony. Relax with the peace and beauty of white sand and aqua waters. 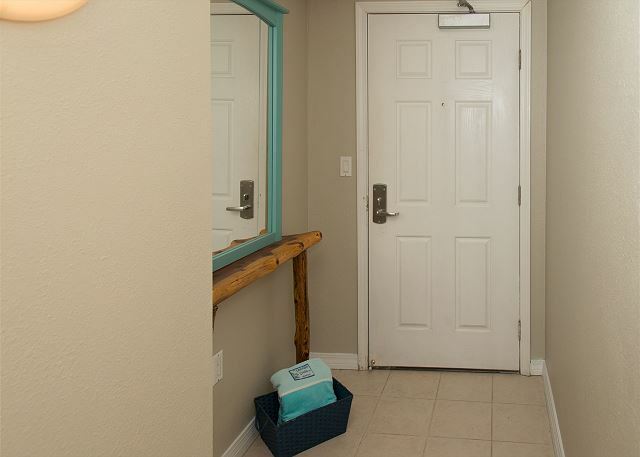 This newly renovated 1 bedroom plus bunk room, 2 bath condo is an amazingly comfortable place to stay with beautiful decor. This condo is completely renovated with granite counter tops, ceramic tile flooring, beautiful light furnishings and a fully equipped kitchen. 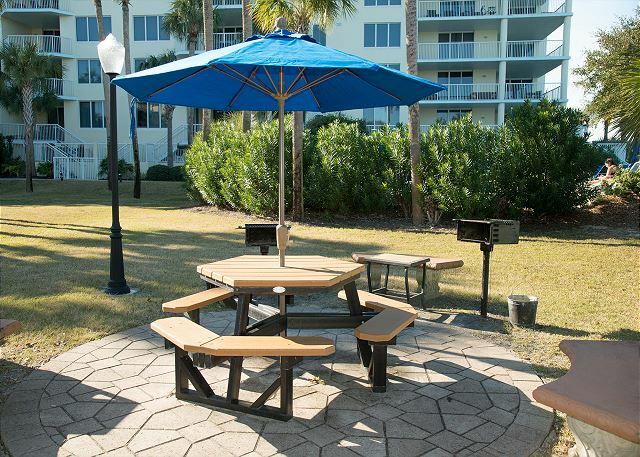 If you don’t want to cook inside, you can use one of the many charcoal grills available at the picnic area located in front of the bay. The bedroom has a king size bed and there are two comfy beds in the bunk room. There is a full bath, with granite counter top in the master and a bathroom in the bunk room. Each bedroom has it's own flat screen tv with cable. Wi-fi and washer and dryer complete this condo. Destin West is also home of the well-known 700 foot lazy river as well as multiple pools, hot tubs, beach access and a marina...great for fishing or docking your boat. 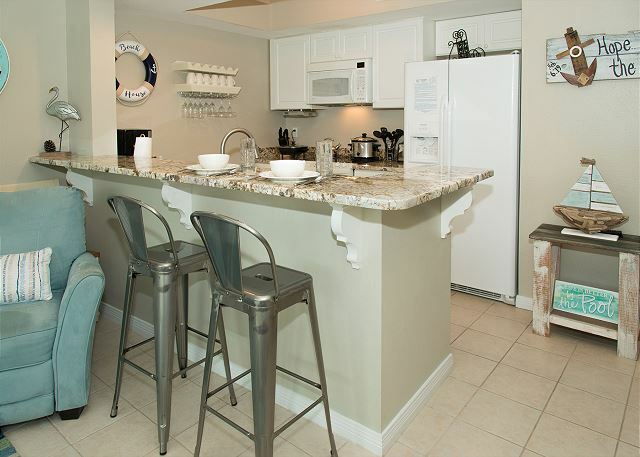 This is a prime location with everything you need while on vacation in this resort style community with several restaurants in walking distance including a Fudpuckers next door where you can eat, play or rent a boat to visit the famous Crab Island. Newly added for 2018: FREE BEACH SERVICE!! This includes 2 chairs, an umbrella set up and reserved for you each day. 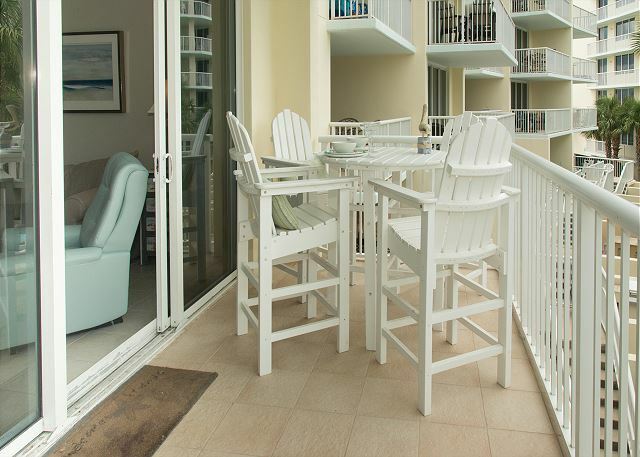 Come and see why so many families have called Destin West their home for many years and create your own family memories. Perfect for a family of 5, plus 1 guest. 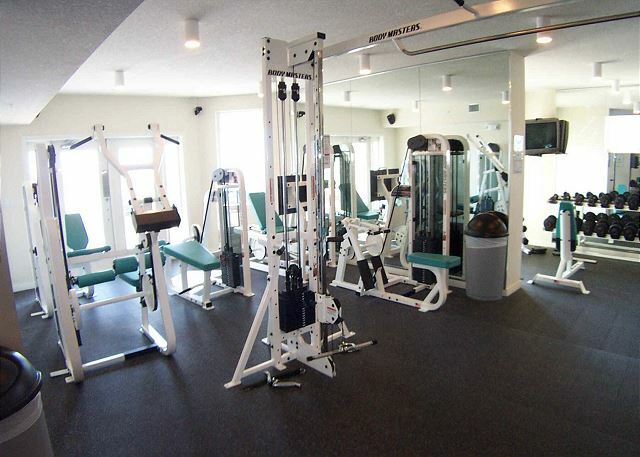 The facilities were wonderful, from the pool, fitness center, Marina...and the condo was in great shape. Can’t wait to book again next year. Dear Mr. O'Gara, We love hearing from our guests and are very happy to hear you enjoyed your vacation with us! Thank you for taking the time to review Pelican 306! We're standing by to help you book your next visit, so don't hesitate to give us a call! We had a fabulous stay. The weather was the only issue but we still were able to sit by the pool and relax. The people are so friendly, the condo was spotless, and it was everything we wanted. We will for sure be back!!! Dear Ms. Lurges, Thank you for taking the time to leave us these wonderful comments! We love hearing from our guests and will be saving a spot for your next visit! Please come again soon! a guest from Haileybury, Ontario does not recommend this vacation rental. Dear Ms. Lauzon, Thank you for your review! We appreciate you taking the time to leave us a comment! I'm sorry the weather was not cooperative during your stay, but there's always next year! This was our first time to visit Ft. Walton and Destin West. We stayed on the bay side along with friends from our ball team. I was bummed we wasn’t going to have a beach front room. After we settled in we thoroughly enjoyed the benefits of the pool and lazy river. 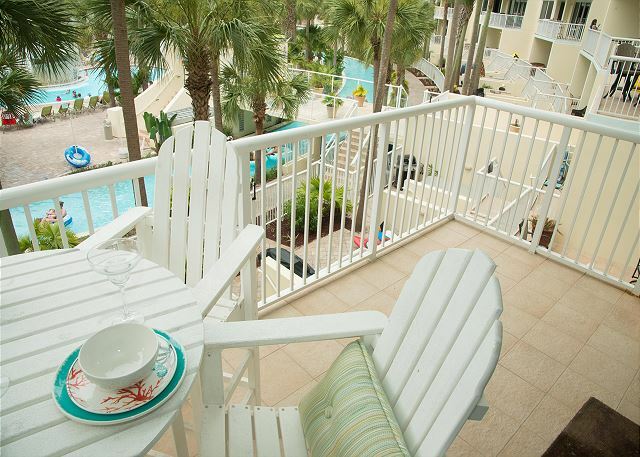 Ms. Moreland, I'm so glad you enjoyed your stay with us on Bayside! It has always been my opinion that the Bayside is perfect for families with views that are just as pretty as the beach, but more activity friendly. We thank you for your wonderful review and will be looking forward to having your team back again maybe next year! Couldn’t have been more happy with the condo. I’m very picky about cleanliness and this condo was perfect. Decor is beautiful. The view from the balcony was superb. Seeing the lazy river lit up at night was gorgeous and the waterfall in the pool was beautiful. Subtropical storm was supposed to hit but we were blessed and only had a short shower. Highly recommend Pelican 306!! Hope to come back. Dear Mr. Ulicny, I'm so happy Mother Nature was kind during your stay! I agree that the views from 306 Pelican are lovely! We're so glad you had a wonderful time and are looking forward to having you back! We had a great experience vacationing at this resort and in this unit. 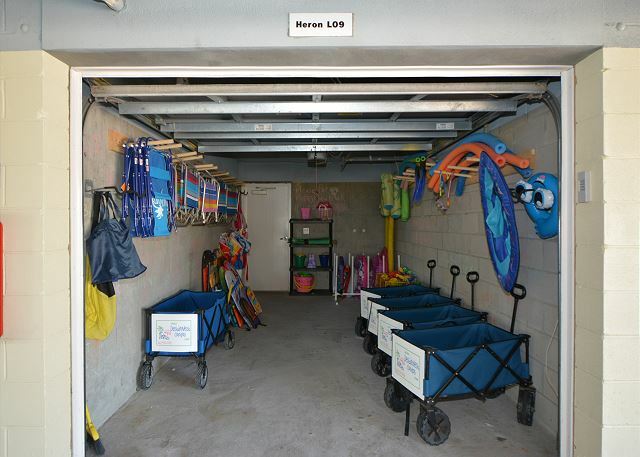 The unit was well equipped and had everything you would need, from cooking to beach towels and toys/accessories, games, TVs in all rooms with full cable, and more. It was nicely decorated and furnished (my sister stayed in another unit and it was bland with minimal furnishings). We loved having the included beach chairs and umbrella, and it was very easy to coordinate with the guys on the beach. The management was responsive and very helpful from our initial reservation to check in, thanks Robyn and Julie!!! 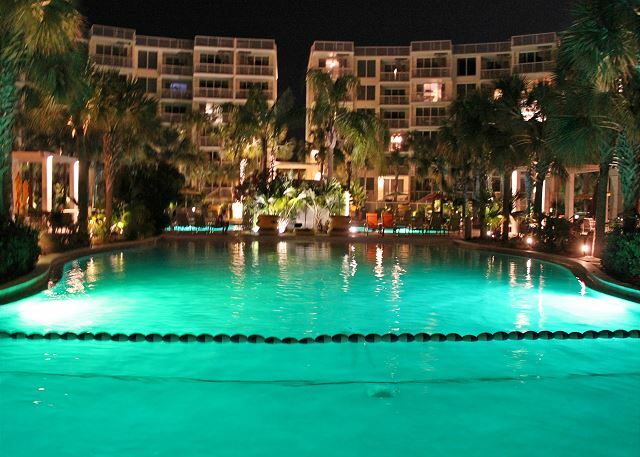 The facility had plenty of pools and we enjoyed the lazy river, as well access to the Ramada facilities with splash park, grotto swim up bar and beach bar! We'll be back! Dear Mr. Crisci, Thank you for such a stellar review! We're so happy to hear that you enjoyed every facet of what our business offers! We're standing by to book your next trip whenever you are ready! Dear Mr. Wertz, I want to thank you for taking the time to leave us a positive word! We truly appreciate your 5 star rating and will be standing by to help with any future bookings! Dear Mr. Honsberger, I'm so glad we were able to follow up with you and discuss your stay with us. I understand you had some concerns about our location, but unfortunately there is nothing to be done about this. 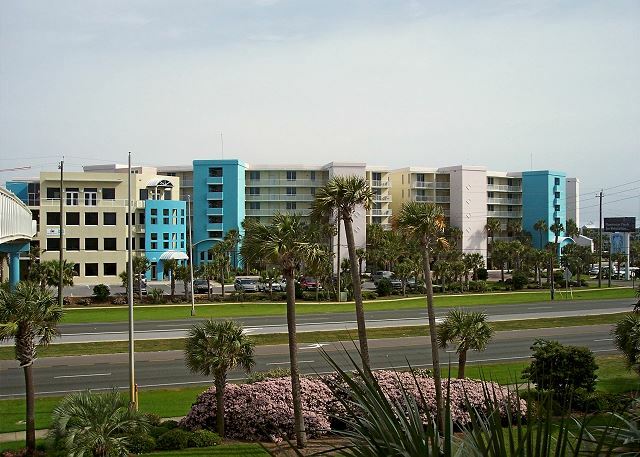 Most of our guests love being located on the island convenient to the beaches and boardwalk. I was happy to hear that you enjoyed our condo, but weather during the time of your stay is also an uncontrollable factor. The balcony is a lovely place to be when the weather is warmer and the sun is shining. Thanks for sharing that you were pleased with our management services, cleanliness of condo, and that you would definitely recommend us to others. This means a lot to us! We so appreciate your comments on these matters and will look forward to your next visit! Condo was clean and the furniture was family friendly. This is important when you have 4 Grand kids that can be a little messy.Kitchen had every thing we needed.We really liked the fact that the walls were very sound proof and we did not hear lots of noise from the pools down below or our neighbors. I would definitely stay there again.Bay on one side of the property and a nice walk over to the beach on the other side of the property.